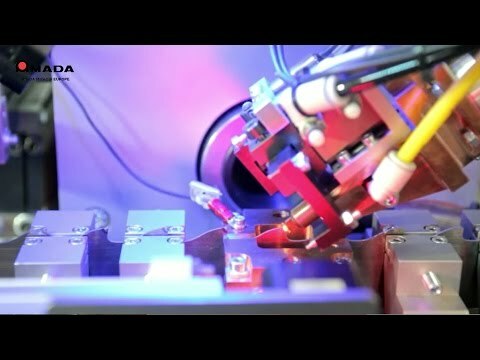 Amada Miyachi Europe offers tool manufacturers a broad range of precision joining solutions. We have many years of experience with working closely with partners throughout the tool manufacturing industry that insist on reliable and robust solutions to their welding and marking challenges. Our laser welding, laser marking, resistance welding and reflow soldering systems are used for the production of hand tools, power tools, torque tools, chain saws and speciality tools. These technologies allow our customers to join, cut or customise their materials efficiently and accurately. Amada Miyachi Europe offers a unique combination of over one hundred years of welding experience with application research knowledge and engineering expertise in building welding systems. This enables us to offer our customers state-of-the-art equipment for joining a wide variety of hard metal tips to band saws, for example.